In Vermont, anyone can run for Governor, and they frequently do. I was reminded of this after watching last Thursday’s gubernatorial debate which put all seven candidates on the same dais for the first time. It was quite a show! You can watch it here (hit the “featured” button at the top and scroll down the items listed on the right hand side of the page to go directly to the debate). The cast of characters include two-time Democratic incumbent Governor Peter Shumlin. In Thursday’s debate, Shumlin reiterated his intent to move ahead with a single payer government-financed universal health coverage plan in Vermont, arguing that by lowering health care costs it will boost the economy. So far, however, he has conspicuously avoided explaining how it will be funded. Whenever Shumlin speaks at these debates, I struggle to resist leaping up and yelling “You lie!” at the television. Shumlin’s main rival is Republican Scott Milne. He is the owner of a local travel agency who has never held elected office. It shows. 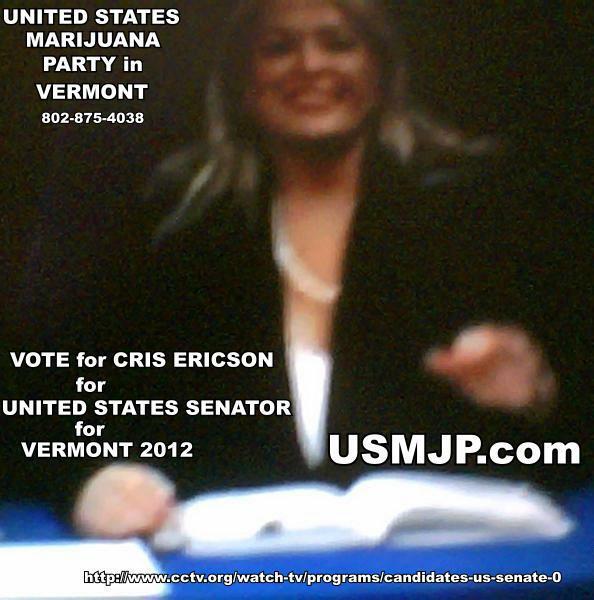 His primary platform appears to be to oppose everything Shumlin supports without clearly standing for any alternative. So, Milne would pull the plug on Vermont’s single-payer health plan but if other states are willing to try such a plan and it proves successful, then Milne is willing to revisit the issue. “When you straddle a thing, it takes a long time to explain it,” Will Rogers once proclaimed. Milne’s problem is that no one can stay awake long enough to hear his explanations. The five other candidates on the ballot include an aging socialist, an earth activist and hemp promoter, a woman with a big hat, a libertarian, and an independent who appears to be a character from Duck Dynasty. Peter Diamondstone is the Liberty Union candidate, but he made it clear at the outset of the debate that he’s running as a Socialist. Diamondstone, who is nearing 80 years old, is a frequent candidate in Vermont for statewide office, having run previously – and unsuccessfully – for offices ranging from Attorney General to Governor to Senator. If you look closely at the PBS video above of Thursday’s debate, you’ll see that Diamondstone appears to be wearing “jorts” (jean shorts.) This must be some sort of Socialist statement. Cris Ericson, another repeat candidate for elected office, stood next to Diamondstone at Thursday’s debate, decked out in a very large hat. Just to cover her bases, she is also running for Congress this year. Here is a shot of her from a previous campaign. Perhaps her most memorable moment Thursday night came when she accused the Governor of violating the civil rights of a diabetic Vermont transportation worker by shutting down Vermont rest areas, thus making the poor worker go an extended period without being able to pee in a proper facility. I noticed moderator Stewart Ledbetter trying, with limited success, not to smile too much during Ericson’s civil rights speech. Dan Feliciano is the Libertarian candidate who stood out during the debate for both his serious mien and his clearly stated agenda. No one can complain that Feliciano’s positions are muddled. He demonstrated single-minded opposition to the single-payer system and a clear embrace of free-market principles. He seemed almost too sensible to be in the debate. Bernard Peters, a retired Vermont transportation worker who would fit well as a cast member on Duck Dynasty, is running as an independent. Finally, there is Emily Peyton. She is the “organic” candidate – her platform is captured concisely on her candidate webpage, where – along side pictures of ripe fruit – she pledges “allegiance to the Earth, and to the Beings with whom we share her.” Emily is a “founding member of Hempfully Green! A consulting group for hempcrete construction and other hemp-related products.” I don’t rule out the possibility that she was using her product during the debate. Who is going to win this race? No incumbent governor has lost a bid for reelection in Vermont since the early 1960’s, and polls currently show Shumlin with about a 10% lead over Milne. However, Shumlin is polling below 50% at this point, so I’m not prepared to give the race to him quite yet. Still, unless someone can amp up Milne’s demeanor, I don’t see how he is going to excite enough voters to defeat a sitting governor, however vulnerable the incumbent might be. Many years ago the political scientist James Q. Wilson wrote a very famous study of the “Amateur Democrat” in which he argued that political party regulars were being replaced by “amateurs” who believed “that principles, rather than interest, ought to be both the end and motive of political action.” Judging by Thursday’s debate, the amateurs have a long way to go. But that is fine with me. I like living in a state where politics remains more of an avocation rather than a profession, and where people of all types can run for office. Who knows? Someday I might want to run for Governor too. It’s nice to know my voice would be heard. But first I’ll need to buy some jorts and grow some facial hair. Remind me again why I encouraged my grandson to get his undergraduate degree in the State of Vermont? Because you wanted him to see real democracy in action! Here the people truly rule…..
Where do I get my Dickinson for VT jorts themed bumper sticker? Abby – This is a great idea! I can hand them out for quiz winners along with my “It’s the Fundamentals, Stupid” t-shirt. Watching this debate reminded me of the numerous times a certain secessionist from Ripton would call into my radio show. It’s those moments that I miss the wilds of Vermont the most. The best we can do in Massachusetts is Scott Lively who is charged with crimes against humanity! So true – now that Mumbles Menino and Barney Frank have stepped down, Massachusetts politics is sorely lacking colorful characters. Instead you are going to get four years of Baker or Coakley. In a race as unusual as this one, perhaps your idea in class of Milne “walking from one end of the state to the other” over the last few days of the campaign would be quite fitting.